According to CNET, eBay is purchasing Markplace.nl for $290 million in cash. 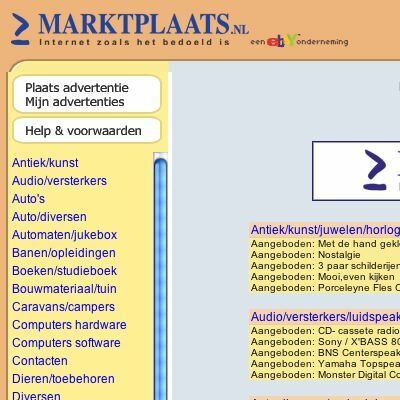 Founded in 1999, Marktplaats.nl averages roughly a million listings. This purchase gives eBay an instant presence in the Netherlands, something that has been lacking. eBay currently supports 24 local Web sites and 9 languages. If I were to predict where eBay is headed next, I would take a nice long look across Eastern Europe. Although many of the markets are quite small, that is where the growth is.